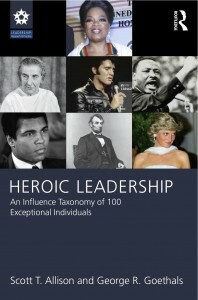 Our second heroes book is entitled Heroic Leadership: An Influence Taxonomy of 100 Exceptional Individuals, published by Routledge in 2013. In Heroic Leadership, we review the relationship between leadership and heroism, showing how our most cherished heroes are also our most transforming leaders. We also describe in some detail a conceptual framework for differentiating among the many varieties of heroism. 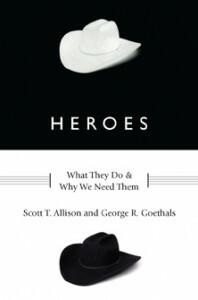 The book profiles many different individual heroes and provides an analysis of their heroic contributions.